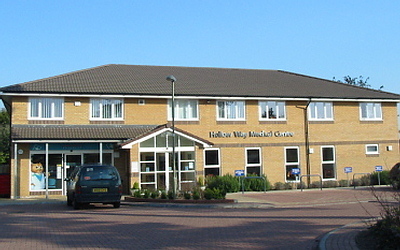 We are housed in a modern purpose-built medical centre off Hollow Way, which includes 11 consulting rooms, a well–equipped treatment room, as well as spacious reception and waiting rooms, and a large clinic room. The practice is computerised and operates an appointment system. For non–English speaking patients, an interpreting service is available. A pharmacy is located next door to the surgery. The practice is accredited as a training practice for GP Registrars, who are doctors in training to become GPs. They will be attached to the practice for between six months and a year. Occasionally, as part of their training, consultations may be video recorded. This will only take place with your specific consent. Once registered, patients and healthcare professionals work together to ensure the most appropriate care is provided. All patients are allocated a named GP who is responsible for their overall care. Please contact the practice if you wish to know who your allocated GP is or if you wish to change your allocated GP. Disabled car parking spaces are located next to the main front door for blue badge holders, with level access to the building. There is wheelchair access to all patient areas with a lift to the first floor. Disabled toilet facilities are located on both ground and first floors. There is an induction loop system available on reception. Signposting is clear and non-obstructive. Our practice leaflet is available in larger print for those patients with sight problems. Guide or other assistance dogs are welcome in the surgery. Please let the receptionist know if you need any additional help. Parking at the surgery is limited to blue badge holders and elderly or infirm patients. There is street parking nearby, though please check restrictions. There are bus stops on Hollow Way near the surgery. We have a bicycle shelter and a porch for prams. Disabled car parking spaces are located next to the main front door for blue badge holders, with level access to the building. There is wheelchair access to all patient areas with a lift to the first floor. Disabled toilet facilities are located on both ground and first floors. There is an induction loop system available on reception. Signposting is clear and non-obstructive. Read more here. We aim to provide good access for people with disabilities. An induction loop system is available on reception. Stagecoach Route 10 and Brookes Bus Route U5 both stop on Hollow Way, a short walk from the surgery. There is a plan on the board by Reception showing local cycle routes. We have a cycle shelter. Car parking at the medical centre is very restricted and we can only allocate spaces to Disabled and elderly or infirm patients. We would appreciate your co–operation with this by not parking in these spaces unless you consider that you belong to one of these categories. Parking is available in the streets off Hollow Way but please check restrictions. Several local taxis are available and there is a list of numbers on the board in reception.